Spring came last week in time for May, but didn’t stay, stronger Summer chased it away. Our May is beautiful still (despite omens of heat and humidity), with refreshing winds and purifying rains, and even sun sometimes to cheer our day. First Thursday was Holy Cross in Paschaltide, a magnificent feast, and very powerful prayer. Some were doing National Prayer Day, surely a good thing. Our Catholic Prayer Day is not one, but three, like the adorable Trinity. The Lesser Litanies, Monday through Wednesday, lead us to the Holy Day, which sees Our Lord take our petitions up with Him, home to Heaven. We’re praying for blessings both temporal and spiritual, for country and church, for good weather and good children, for the sick and sinners, for ourselves and just about anything else. Pray with us. More litanies are on offer each afternoon as we sing Our Lady’s glories in a little visit. Did you remember your family May Altar and devotions? 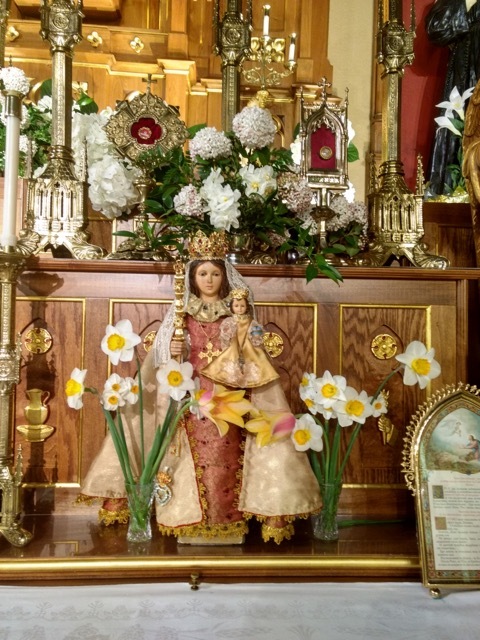 The Curé of Ars tells of a godless husband who once merely provided flowers for his wife’s May Altar, and was rewarded for it by the grace of final repentance in the midst of committing suicide. Little things are everything, for weal or woe. The Novus Ordo church is now against crosses. One of Bergoglio’s “material cardinals,” aptly named Marx, has criticized the Bavarian government for mandating the placement of crosses in certain public buildings. He finds them divisive. Indeed. He did allow himself lately to praise his namesake, Karl Marx, on the great Communist Labor holiday, May 1. That, presumably, is not divisive. But all of this is logical, and entirely to be expected, the long awaited fruit of Vatican II’s revolution. But what are we to say of those who recognize this new church as Catholic, or as guaranteeing apostolicity? Or would you attend a Mass in which Karl Marx is named in the canon? Is there a real difference? Pray for clear thinking and simple catechism truth. I am very proud of our young priests who are bravely rowing against the tide, and trying to do so much to take care of, to save, souls. 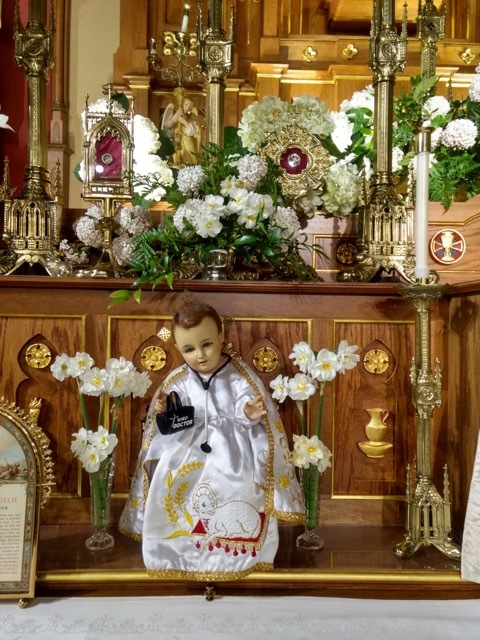 Little missions have they started, here and there, long hours they give in the confessional, and in counseling, teaching, and preparing for sacraments. Oh, did I mention long trips, constant packing and unpacking, as a way of life? All of this is founded upon a solid and full life of prayer, for you and in your name. Most of all, there is the daily offering of the Holy Sacrifice. This is what makes a priest different from a minister. Treasure your priests, pray for them, and this especially at the Sacrifice of the Altar. Cheer up a priest, and maybe Our Lord, by showing up at a weekday Mass sometime, just because. Fr. McKenna was off to Louisiana First Friday, where he was replacing Fr. Francis, O.F.M., who was visiting Fr. Ercoli in Seattle, and helping with a plumbing project in preparation for the Ladies’ Retreat. Some priests wear many hats, and it’s good to see priests “dwell as one.” Pass the wrench. Fr. Cekada reports a good seminary week, and Bishop Sanborn’s health much improved. But there are always the cares and worries of our worldwide work, which is why we do ask for prayers. I promise mine for you in return at the altar, and at Mary’s shrine this May. This entry was posted on Saturday, May 5th, 2018 at 10:08 pm	and is filed under Announcements.